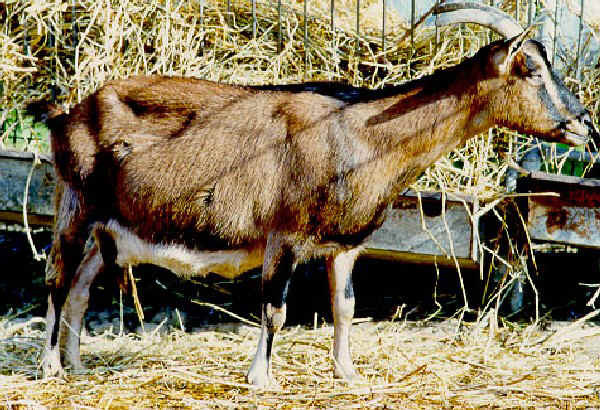 The Sarda is a breed of goat from the Sardinia which originated as a cross between various breeds (especially maltese) introduced to the Italian island. 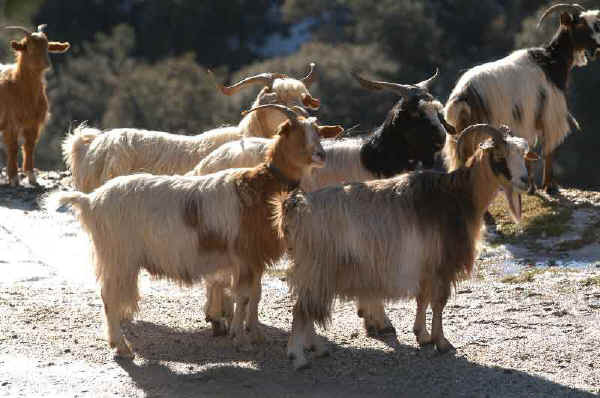 The breed is adapted to the local environment (hills, where arid soils are predominant). They are long-necked and deep-chested and the does have well-developed udders. The annual milk yield of 160–225 litres is not high, but the breed is particularly hardy and well suited to being raised in a wild or semi-wild state in tough conditions. Some exemplary of this ancient race are raised near the ConSDABI (Consortium for Experimentation, Divulgation and Application of Innovative Biotechniques), Circello, Benevento.